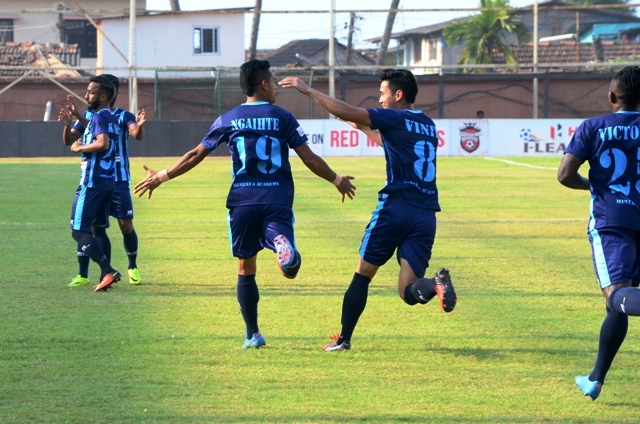 Minerva Punjab FC secured a crucial away victory in a hostile territory as they pipped Churchill Brothers by 4-5 in a nine-goal thriller at the Tilak Maidan in Goa today. This win helped Minerva to move into the seventh spot for the time-being while Churchill stay rooted at the rock bottom. Six goals were scored in the first half while another three were struck in the second as a see-saw battle ended in favour of the visiting Punjab side. It didn’t take long for the first goal to come as the away side opened Churchill Brothers up in the third minute of the game. A quick throw-in on the right flank was floated into the box by U-22 player Kamalpreet Singh. The cross found its way to forward David Ngaihte whose glancing header bounced its way past Churchill custodian Priyant Singh into the far post. Minerva led 1-0. However, Churchill Brothers quickly found an equaliser as their forward line combined perfectly in the eighth minute of the match. A quick interchange between Anthony Wolfe and Kromah saw Kromah hold off three defenders outside the Minerva box before releasing the ball to Chesterpaul Lyngdoh. The winger managed to skip his way past a sliding tackle from fullback Kamalpreet Singh before firing a low angled shot from the left channel past Minerva goalkeeper Arnab Sarma to make it 1-1. Minerva had conceded only two goals in their last four matches but their defence was put to the test against the former I-League champions. The game was an end-to-end affair and Churchill took the lead in the 18th minute of the match. The goal came from a corner as Brandon Fernandes floated in an inswinging corner from the left as defender Adil Khan rose highest to deliver a lofted header as Churchill led 2-1. However, Minerva roared back into the game as Churchill Brothers conceded a similar goal to their first. The Red Machines left-back Satish Singh was caught napping as a quick corner saw David Ngaithe float in a teasing cross. Simranjeet Singh found himself in between the two centre-backs and with a twist of his head, guided the ball into the far corner. Priyant Singh could not read the trajectory of the ball as his late diving attempt could not save his side as Minerva equalised to make it 2-2 in the 21st minute of the game. The left back position was proving to be a weak spot for Churchill as Minerva went on to taking the lead in the 31st minute. Satish Singh was out of position when David Ngaithe ventured on a run down the right flank. Centre back Adil Khan tried to cover for Satish by sliding into a tackle only to find Ngaithe skip past him and head towards goal. Adil’s team-mate Rowilson Rodrigues was left to mark both Ngaithe and an onrushing Souvik Das and was left stranded as Ngaithe slipped a pass to Souvik who smashed into the net to make it 2-3. 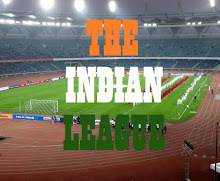 Churchill equalized once again five minutes to the half-time when Lyngdoh crossed from the right which saw Wolfe and keeper Arnab go for the same ball. Arnab dropped the ball as Kromah headed the ball goalwards. The ball hit the upright and came back as Wolfe and Kromah tried to get on the end of the rebound as the ball crashed into the net. The goal was awarded to Kromah as the two teams departed with the scoreline reading 3-3. The second half was a much-subdued affair until the 68th minute when Minerva took a 4-3 lead. The Punjab side won a free-kick a few yards left of the centre-circle. Kareem Nurain took the free-kick and their tall defender Loveday Okechukwu’s looping header hit the post on its way into the goal. The lead was short-lived as Minerva conceded a penalty when defender Kareem Nurain brought down Kromah in the 75th minute. The Liberian forward made no mistake with his shot as he coolly placed the ball into the net to make it 4-4. There was more twist in store as Churchill Brothers conceded an unfortunate penalty when a pile-driver of a shot by Anirudh Thapa hit Keenan Almeida’s hand as referee Pranjal Banerjee pointed to the spot. Kareem who had conceded the penalty stepped up and smashed hit into the side to make it 4-5 and take three precious points leaving Churchill Brothers high and dry.